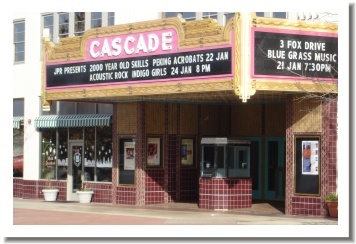 Cascade Theater: Also Redding CA Real Estate with MLS search, pictures, and maps. Redding California pictures. 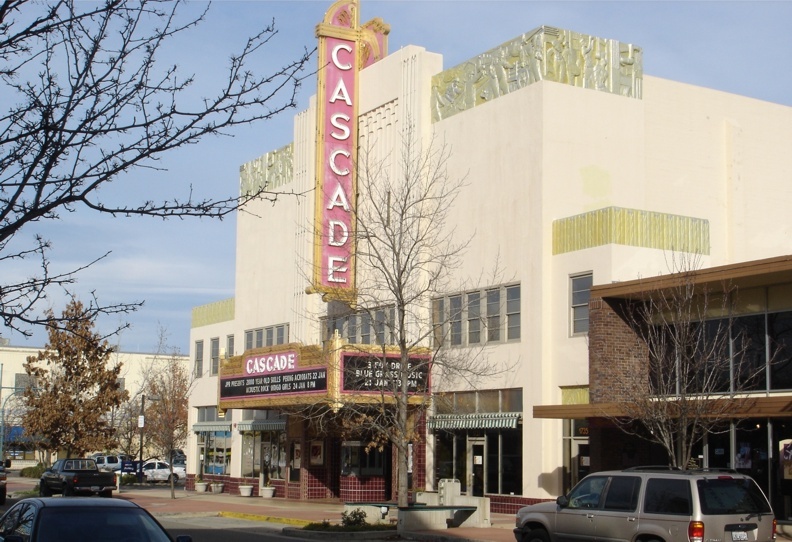 The Cascade Theater in Redding was originally inaugurated on August 9, 1935 and included 1348 seats, it was completely renovated in August of 2004 with 997 seats and room for 10 wheelchairs. It's a great example of the "Art Deco" flair of the time, and a treasure for our community. Every effort was made to restore and improve it to modern standards. 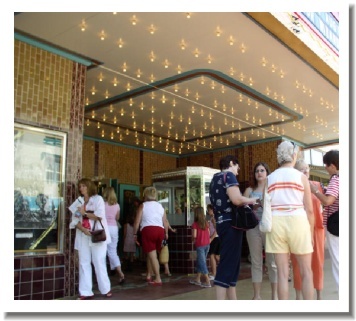 Now home to the Northstate Symphony's Redding Performances and host to various traveling entertainment events. Visit the Cascade Theater web site for more information.